Watch full highlights of the Devils comeback push, which was spoiled in overtime. 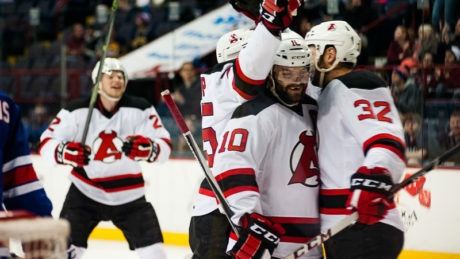 Highlights of the Devils 3-2 come-from-behind, overtime victory against the Bears. Jim O’Brien walked the puck in and picked his corner during the first period against the IceCaps. 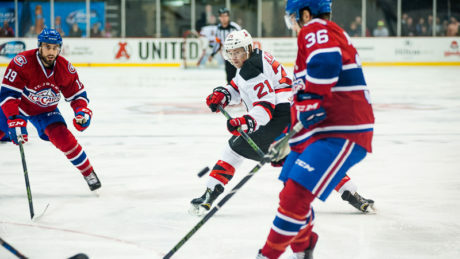 The Devils couldn’t complete the comeback in a 2-1 loss against the IceCaps. 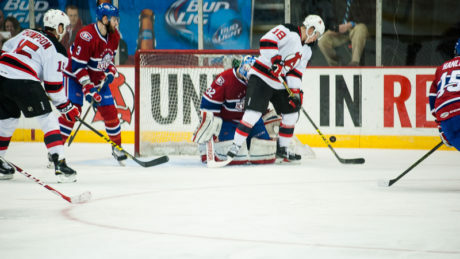 Full highlights of the Devils 4-2 loss against the IceCaps. 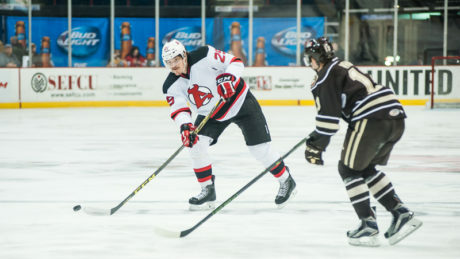 Ben Thomson had two goals as the Devils fought back, but lost in OT, 3-2, against the Wolf Pack. 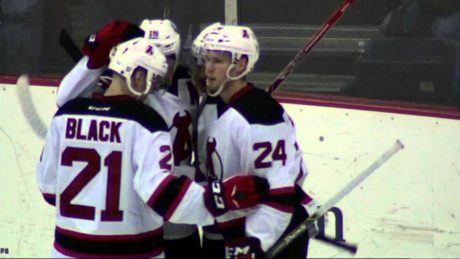 Watch complete highlights of the Devils 4-0 win against Rochester Wednesday. 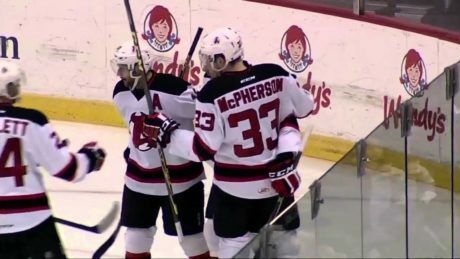 Highlights from the Devils 4-2 win against the Phantoms to extend their streak to six games. 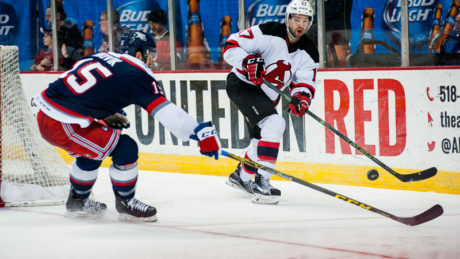 After leading for most of the game, the Devils had to mount a comeback in their 6-4 win against the Crunch. Mike Sislo and Corey Tropp scored for Albany and Jonathan Drouin has a pair for the Crunch. Game tied 2-2 after the first period. 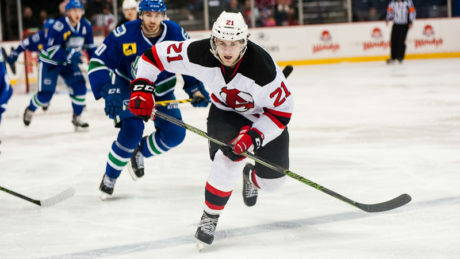 Reece Scarlett buried his first goal of the season during the Devils 3-2 overtime win against the Comets. Watch Brian O’Neill setup Jim O’Brien for the game-winning goal in overtime to defeat the Comets, 3-2.